Grassland Premium is a specialised formula of micronutrients designed specifically for grazing cattle. By meeting all of the critical nutrient needs for healthy, productive livestock during the growing season, you will see greater outputs from intensively managed pastures. Delivery information: 2 Options; Buy online or come and collect. Grassland Premium contains lime, which reduces soil acidity. This in turn means more efficient future fertiliser applications, saving you time and money. We recommend applying the product at a rate of 50 kg/ha (20 kg per acre) between February and May. However, it can be applied throughout the grazing season. 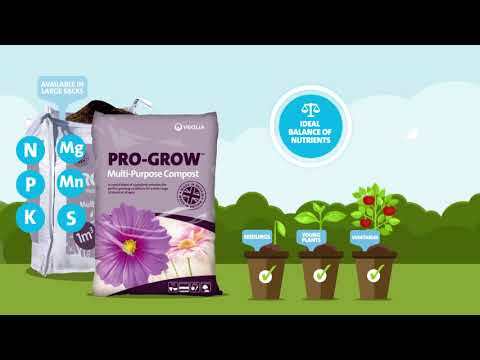 Grassland Premium can be applied on its own or mixed with your fertiliser applications. One application per growing season is sufficient to meet needs of grazing cattle. We advise leaving 10-14 days before grazing and at least six weeks before grass harvesting. Grassland Premium should not be used for sheep grazing pastures due to its high copper content. Order online and get Pro-Grow Agricultural Grassland Premium delivered to your home. Pro-Grow Agricultural Grassland Premium 20kg bags are delivered within 5 - 7 working days.